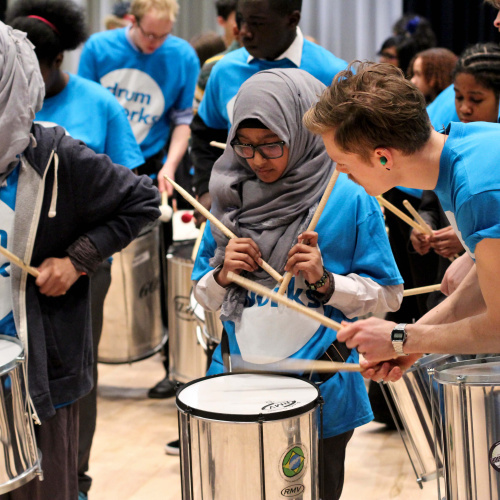 Become a Friend of Drum Works and help to engage and inspire hundreds of young people across east London. Your donation will go directly towards our core programme, which reaches over 500 young people every week developing creativity, building confidence and encouraging social cohesion. Regular Friends newsletters will let you know the impact of your support and will keep you up-to-date with all of our latest news and events. We’ll also be happy to recognise your support on our website and send you a stylish Drum Works tote bag as a thank-you for your gift! This will pay for a 1:1 mentoring session for our young Apprentices, furthering their personal and professional development. 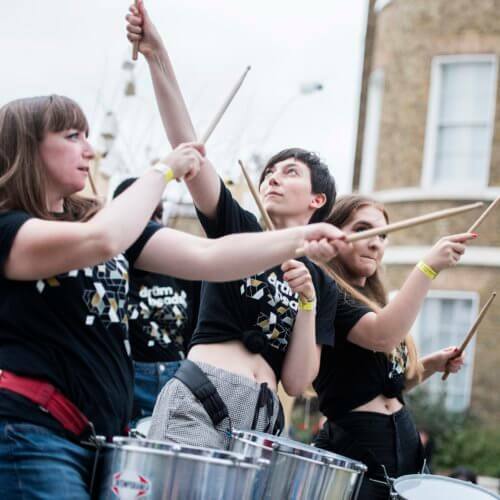 This will cover the cost of a young person to be part of Drum Works for a year, attending weekly sessions in school, collaborating with other young people across east London and showcasing their achievements on high-profile performance platforms. This will provide practical training for all of our young Apprentices, helping them to develop their leadership and musicianship skills. 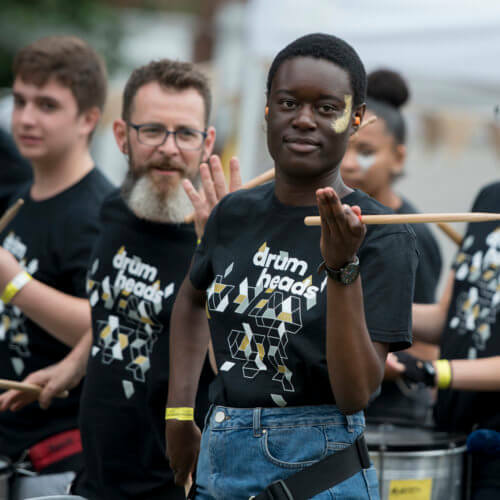 This will maintain a whole set of drums for a year, allowing over 100 young people to consistently get the most out of their Drum Works sessions. 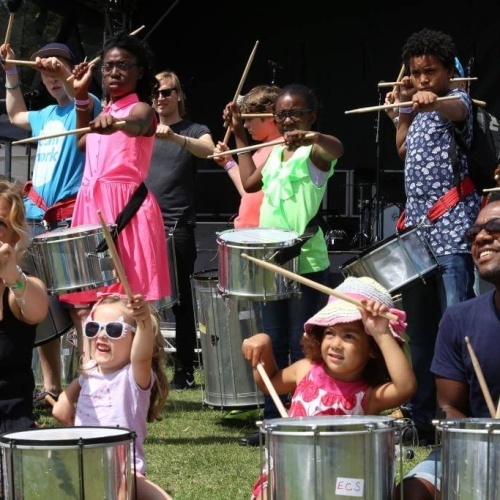 This will cover a term of Drum Heads rehearsals, enabling talented young artists to hone their musical skills and develop their professional practice. Friends membership can be purchased as a gift too – contact us for further information. To join the Friends of Drum Works, please complete the form below. If you have any questions about your membership, please call us on 020 7382 5261 or email us via the form on our contact us page. Please type your name below as you would like it to appear on the supporters page of our website. If you would like your donation to remain anonymous, please type 'anonymous'. When you provide your personal information to us it will be collected and used in accordance with our Privacy Statement. Please click the link below to view our Privacy Statement in full.